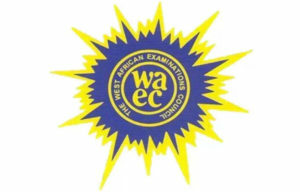 The West African Examinations Council (WAEC) on Wednesday released the results of this year’s Waec 2018 Result May/June WASSCE. Not fewer than 1.5 million candidates over Nigeria sat for the exam which held within March and early May. Publishing the result at Lagos in WAEC Training and Testing Centre (WTTC), Ogba, Mr. Olu Adenipekun, WAEC’s Head of National Office (HNO) stated that a total of 786,016 candidates of the 1,572,396 that wrote the Waec examination had five credits and above including English Language and Mathematics. He also directed that candidates who sat for the Waec examination and have fulfilled their financial responsibilities to the council to check the details of their performance on the official Waec result website. He also stated that they reported a 49.98 percent pass rate in the number of candidates that got credits and above in a minimum of five subjects and higher including English Language and Mathematics. According to Mr. Adenipekun, “Statistics of the Waec 2018 Result May/June WASSCE results showed that a total of 1,213,244 candidates representing 76.84 percent obtained credit and above in a minimum of any five subjects with or without English Language and or Mathematics. Candidates can now check their Waec 2018 Result on Waec official results website: www.waecdirect.org as from Wednesday Evening been 04/07/2018. 2. Now enter the 4 digits of your Waec Examination Year eg. 2018. 3. Then select the Type of Examination. 4. Enter your Card Serial Number found on the opposite side of your Scratch card. 5. Enter the Personal Identification Number or (PIN) of your Scratch card. Click on the Submit button and wait for the results window to show up.